This week, I found out that a majority of the Bon Appétit staff foretold their own futures. 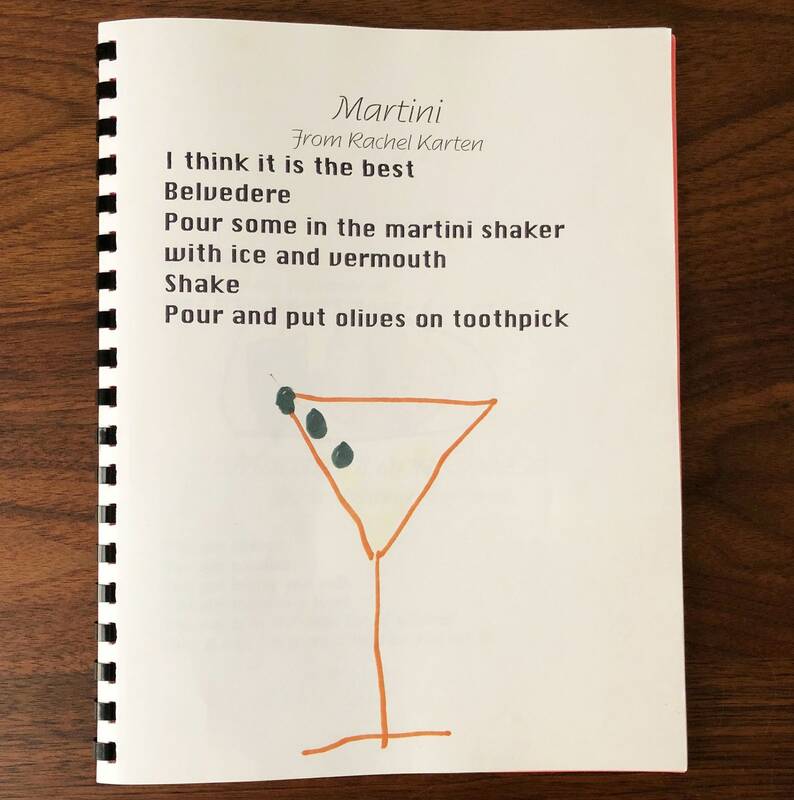 When Rachel Karten was in second grade, she wrote her first recipe…for a martini. 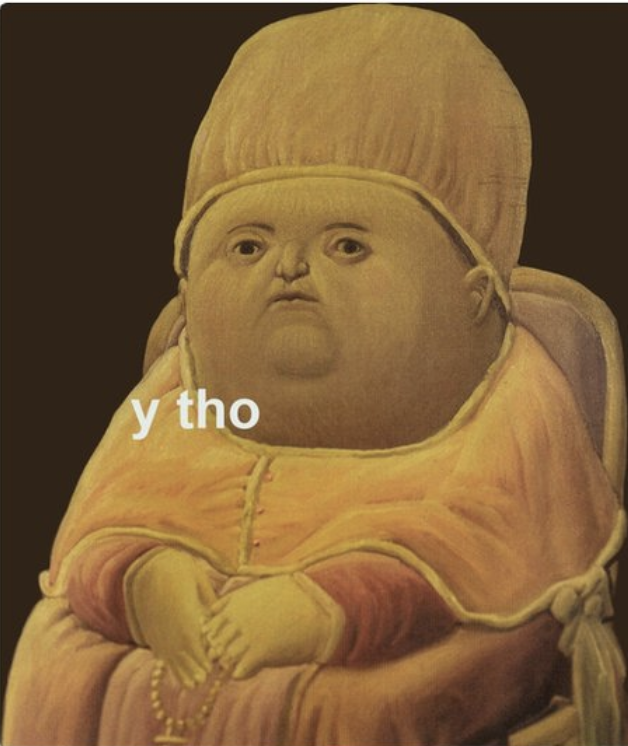 (See above.) And while she spelled “Beefeater” wrong, I’m impressed at the generous three olives. Clearly, Little Rachel was destined for great things! Then I read an unnamed, embarrassed Test Kitchen editor’s college thesis on 17th century cookery books in England, which was—at times—fascinating. “I wrote a report in 7th grade about how the best dinner was Campbell’s cream of chicken soup,” said Hilary Cadigan, arbiter of good taste. For a feature writing class, Christina Chaey interviewed a former BA food editor! Anna Stockwell made a recipe book with her Czech host mother when she was an exchange student in Prague. Aliza Abarbanel wrote a paper on the rise of tea in Britain and how tea shops provided a “third space” for the exchange of ideas. Emily Schultz photographed and produced her own food magazine, blatantly recreating a BA feature on toast. As you might have guessed, Amiel Stanek wrote his thesis on “on the intertextuality of recipes,” lol. (Amiel: “There is no original recipe! Every text is shot through with references to other texts!”) Before that, he made a magazine about cooking organ meat, called Gutsy. And me? 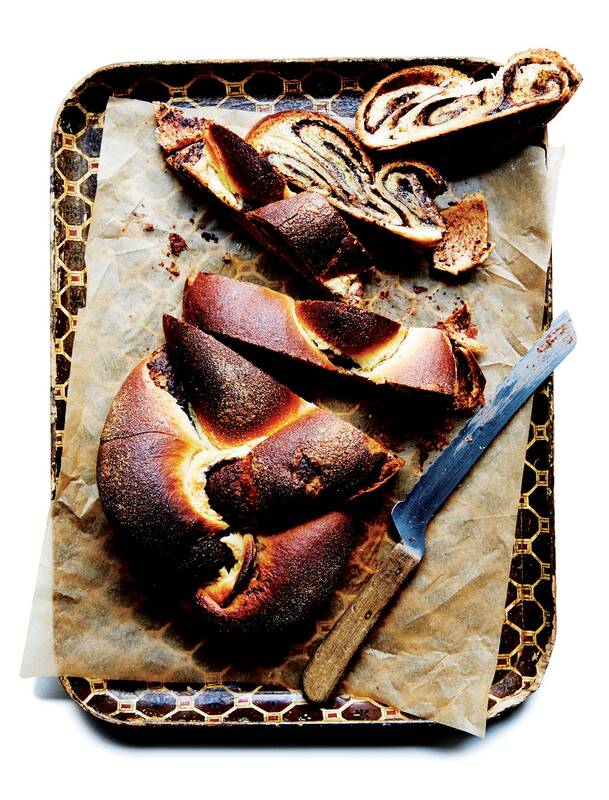 Well..
Last weekend, Jesse Sparks made Claire Saffitz’s babkallah (hybrid challah x babka). I always thought that was an intimidating recipe, but “it was incredibly simple, approachable, and definitely boosted my baking confidence,” said Jesse. Indian-ish, yet? If you’re in the New York area, I hope to run into you at Priya’s dinner at Bombay Bread Bar (her mom Ritu will be cooking too!!). There are more great dinners—all over the country—if that one sells out by the time you read this. (Here’s the full book tour.) If I still lived in Houston, I wouldn’t miss the event at Chris Shepherd’s UB Preserv. 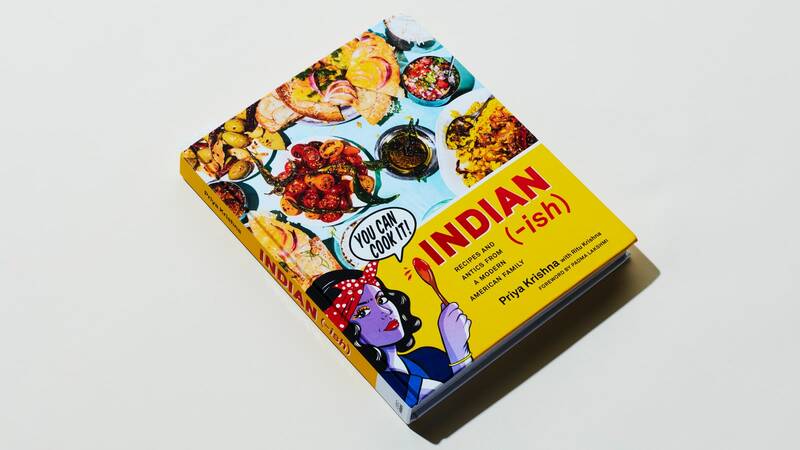 And a final if: If she isn’t coming to your town at all, guess you’ll have to host an Indian-ish cookbook club! What’s the point of inventing a start-up, making beaucoup bucks, and then…not spend all of it eating lobster for breakfast, Wagyu steak for lunch, and Roberta’s frozen pizza for dinner? Twitter founder Jack Dorsey revealed on a podcast this week that he eats one meal a day and fasts all weekend. I guess the character limit on Twitter makes more sense, in this context. Dude likes limits. I like lunch. Amiel Stanek said he made boiled potatoes with green goddess dressing recently and it brought him joy/happiness/fulfillment. OF COURSE IT DID. It’s green goddess season, folks! 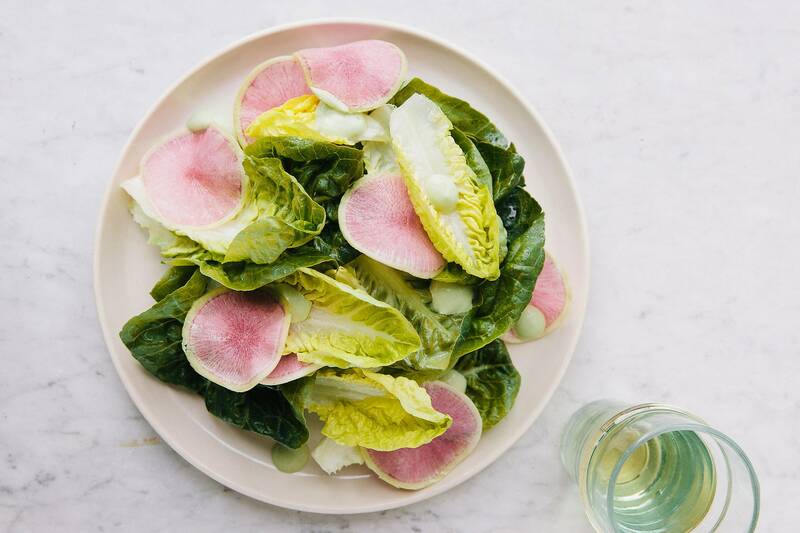 What have you done to bring this creamy, anchovy-y, herby dressing into your life? NOT ENOUGH. 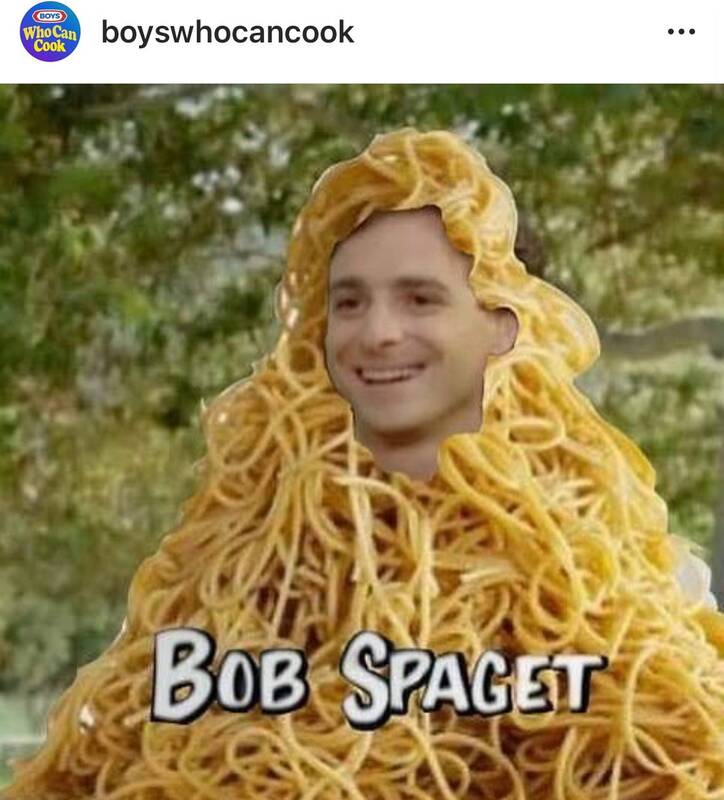 Hold onto your butts, there’s a new “it” vegetable in town!!! “Move over cauliflower and broccoli! Caulilini is the new ‘it’ vegetable with stems like broccoli, florets lacier than cauliflower and even pretty enough to put in a vase,” began a press release that Emma Fishman forwarded me this week, knowing very well how important it is for me to be on top of the food trends—in case I ever get picked up by the Cash Cab. Caullini, a brassica with a registered trademark, looks like pale broccoli with yellow buds. It is my understanding that it is “insta-worthy.” It seems fine!